OS X 10.9 Mavericks: Will Adobe software work? Now that OS X 10.9 Mavericks is available from the Mac App Store for free (no refunds! ), you’re probably wondering how well your Adobe software and other Mac apps will run on it. Below is a summary of various reports I’ve read on Adobe.com and around the web. I will continue to update this article as I find out more. Adobe FAQs: Adobe has published a tech note, OS Compatibility and FAQs for Mac OS Mavericks (v10.9). It contains links to additional information, so be sure to expand each of the FAQ questions on that page to get to the links for important information about Flash Player and sandbox restrictions, an “incompatible software” error you might get with the Creative Cloud desktop application, and a problem viewing Adobe PDF files in Safari. While the Adobe FAQ says there are “no major issues known” with CS3 through CS6, there seem to be a few that are at least minor. I cover some in the rest of this article, and there are also discussions happening on Adobe forums and blogs (a good one is Creative Cloud, Creative Suite 6, and Mavericks (10.9)). If you find a repeatable problem, you can send it in using the official Adobe Feature Request/Bug Report Form, but it’s always a good idea to first check the Adobe Community forum for the software in case it’s already being discussed. An application won’t start: The two most common reasons for pre-CC versions to not launch in Mavericks are Java not being available, and having non-Adobe plug-ins that aren’t compatible with Mavericks. See the topics Java requirement and Plug-ins below. Photoshop: Menus may appear blank. This is not happening to everyone, but there is a long thread on the official Photoshop forum about it: Drop Down Menus in Photoshop CS 6 Goes Blank In Mavericks. Update: This was caused by a bug in OS X, which Apple fixed in OS X 10.9.3. If you are running an earlier version of OS X you can download an Adobe plug-in to work around the problem. 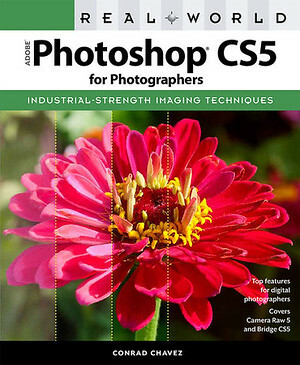 Mac Performance Guide reports that the App Nap feature in Mavericks may slow down Photoshop scripts, but Adobe claims to have worked around this in Photoshop CC 14.2. An Apple bug in OS X 10.9.2 driver software for OpenCL running on AMD/ATI GPU hardware caused crashes in some features in Photoshop if OpenCL is enabled, and can reportedly affect performance on the 2013 Mac Pro. Apple fixed their bug in OS X 10.9.3, so make sure you’re up to date. Lightroom: For Mavericks compatibility, make sure you have upgraded to Lightroom 5.2. This version resolves a Mavericks-related issue involving sliders. 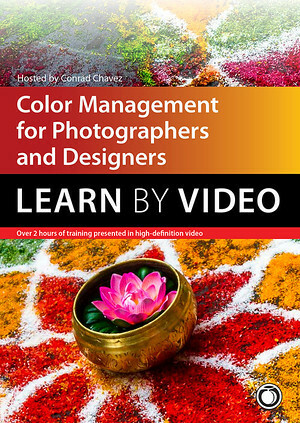 Lightroom Queen Victoria Bampton has her own tech note that covers a few other minor Mavericks issues: Is Lightroom compatible with OS X Mavericks? After Effects: If you’re crashing, get the After Effects 12.1 update. If you can’t reassign keyboard shortcuts by using TextEdit to edit the shortcuts file, you need to turn off the default TextEdit behavior in Mavericks that turns on Smart Quotes. Java requirement: When launching some older Adobe software for the first time in OS X, OS X may say that a Java runtime needs to be installed. If a button is provided, click it; if not, download the latest Java from Apple and install that. Some users have reported that the Adobe launch issue is not fixed until you reboot a second time after the Java installation. Some are wary of Java security issues, but OS X won’t let some Adobe applications launch without it. In the case of Photoshop, Adobe says Photoshop doesn’t need Java at all, but OS X puts up the message anyway. Plug-ins: If you rely on any non-Adobe plug-ins, make sure those plug-ins are compatible with Mavericks. A plug-in that is not compatible with Mavericks may prevent its host Adobe app from starting up. Multiple displays: If you put panels (including the Tools panel) on a secondary display and then switch applications, those panels may snap back to the primary display when you switch back. 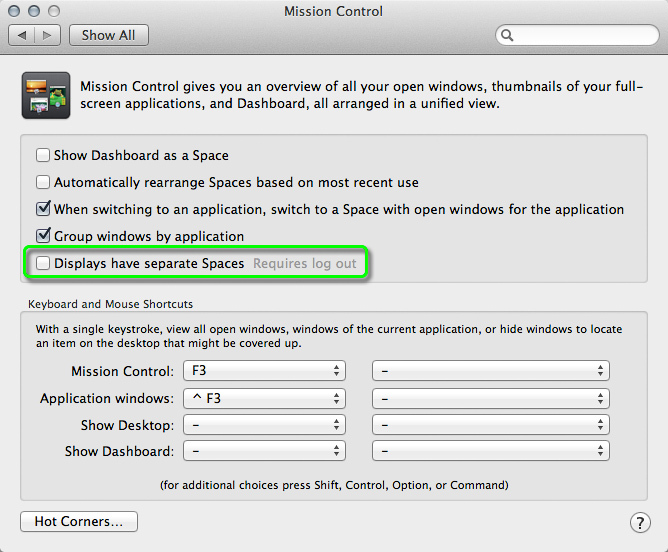 To avoid this, open System Preferences, click Mission Control, and turn off Displays Have Separate Spaces. Mavericks ships with that option on, so if you want to position Adobe application panels and windows on multiple displays you should turn off that option. The Lightroom secondary display panel seems to work fine either way though. Another reason (this applies to all Mac apps) why you might want to turn off Displays Have Separate Spaces is that if it’s on, you can’t span a window across two displays. What’s a reason to turn it on? There are at least three: If you want Spaces to switch on only the display you’re using (the one with the pointer), if you want to see the menu bar on all displays, and if you want to be able to see more than one application when using OS X full screen mode with multiple displays. Photoshop CC seems to work properly with panels and windows spread across two monitors, including a single window extended across two monitors, as long as the Displays Have Separate Spaces option is turned off. Open/Save dialog box CoverFlow crash: If an application crashes when you’re using the CoverFlow view in the Open/Save dialog box, this looks like a bug observed in Mavericks. Adobe has a tech note about it: Freeze or Crash when using Open or Save dialog box. Old Adobe software part II: Intel compatibility required: If your Adobe software is earlier than CS5, to run under Mavericks at all it must support Intel processors. After Apple switched to Intel-based Macs, Apple started phasing out support for running software based on the older PowerPC processors. Starting with Mac OS X 10.6 Snow Leopard, Mac OS X no longer runs PowerPC-based software. 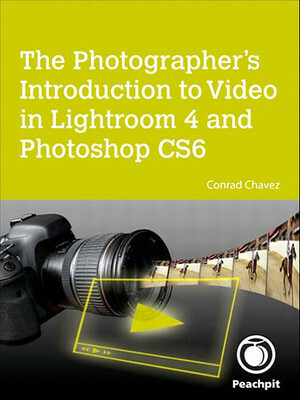 You’ll have to check compatibility for each of the Adobe applications you want to run; for example, Photoshop CS3 was the first version of Photoshop that ran on Intel-based Macs. But even if your software older than CS5 runs on Mavericks, it may still have other issues because OS X has changed a lot since then. To learn about OS X software compatibility of Mac software in general, a great resource is the Roaring Apps database. It lists OS X software and its reported compatibility with the last few versions of OS X. For mission-critical software, you should also check each company’s support website to verify that it works. Wondering what Mavericks is all about? For the most in-depth Mavericks review you’ll probably find anywhere, read John Siracusa’s review at Ars Technica. As with every major release of OS X, Siracusa not only reviews the visible features that Apple promotes, but goes under the surface to explain changes to some of the underlying technologies in OS X and how they affect your Mac experience. Full screen mode on multiple monitors: In Lion and Mountain Lion, if an application used the OS X native full screen mode, all other monitors would display only the gray linen background pattern, preventing you from seeing any other applications. Mavericks finally fixes this; I can now put an application into OS X full screen mode and continue to see other applications on other monitors. However, to achieve this the Displays Have Separate Spaces option must be turned on. But as discussed earlier in this article, you want to turn off that option if you want to be able to keep Adobe windows and panels on another monitor and not lose those positions when switching applications. 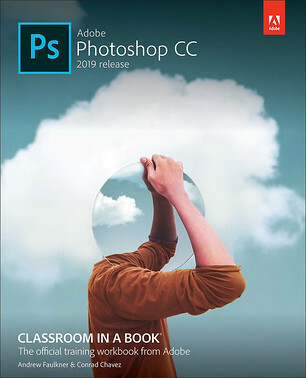 Adobe continues to use the traditional Adobe full screen modes in their apps such as Photoshop, Lightroom, and Illustrator instead of the OS X-native full screen mode. It’s still unclear whether Adobe will adopt OS X full screen mode, but I don’t necessarily mind, because Adobe continues to offer more and sometimes more practical full screen modes than Apple does. Adobe applications were free of the full screen limitations of Lion and Mountain Lion because they don’t use OS X full screen mode. 10-bit video displays: Photoshop users and other graphics professionals have wanted proper support for 10-bits-per-channel video displays on Macs. (This isn’t about the file format, but the data path to the video monitor.) While 10-bit-capable displays, graphics cards, cables, and software (such as Photoshop) have been ready for some time, Apple has not provided the necessary APIs to complete the chain. I had not heard that this is changing in Mavericks, but a reader sent me a link to an article on Native Digital that indicates possible support for 10-bit video. (Update: The linked article now says it was a false alarm; still no 10-bit support in Mavericks.) If you know any more about this, please post in the comments.